Dr. Gina Davis graduated from the UC Davis School of Veterinary Medicine in 1994 with a focus in small animal medicine. Dr Davis was in small animal private practice for nearly 10 years prior to returning to UC Davis School of Veterinary Medicine as a faculty member in Outpatient Medicine. 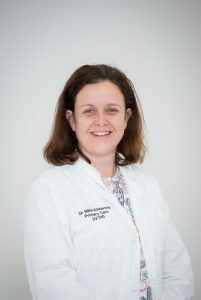 Dr. Davis is a diplomate of the American Board of Veterinary Practitioners in Canine and Feline Practice and was a Clinical Professor at UC Davis for twelve years, until moving here in June 2016. 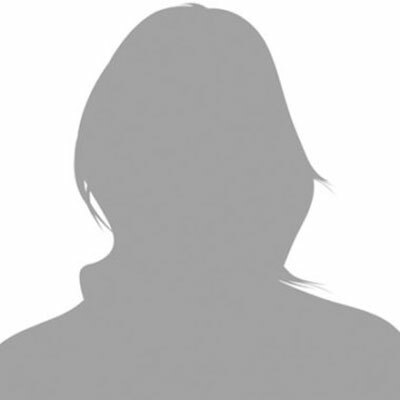 Her interests include pediatrics and vaccinology, dermatology, internal medicine, oncology and clinical pathology–she enjoys all aspects of small animal veterinary medicine. She also enjoys spending time with her Dachshunds, cat and Cavalier King Charles Spaniel. Dr Kirkwood graduated from Murdoch University with a Bachelor of Veterinary Medicine and Surgery with first class merit honors in 1992. After 5 years experience in private small animal practice in Perth she accepted a position as Registrar in Primary Care at the teaching hospital at Murdoch University in 1998 and was successful in obtaining membership to the Australian and New Zealand College of Veterinary Scientists in Small Animal Medicine in July of that year. A 18 month secondment followed as a Registrar in Internal Medicine, however she returned to primary care at the end of this period – she missed her regular patients and their owners too much! Dr Kirkwood has always loved the beautiful city of Sydney so jumped at the opportunity when offered a position as Senior Clinical Veterinary Registrar in Primary Care at the University Veterinary Teaching Hospital Sydney. She has moved across the Nullabor with her family of 1 husband, 3 children and Stanley the ginger tabby cat! Dr McKeever graduated from the University of Queensland in 2011 with a Bachelor of Science with honours. After several years spent in private small animal practice in Brisbane, she accepted a 12 month position as a Post Graduate Rotating Intern at the University of Sydney Veterinary Teaching Hospital in 2015. 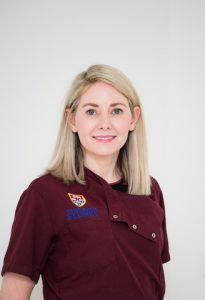 During her internship Dr McKeever undertook research with the universities Cardiology Service investigating feline cardiac murmurs. After completion of her internship, Dr McKeever loved the beautiful city of Sydney so much that she decided to continue to work in the Emergency and Critical Care Service and Primary Care at the University Veterinary Teaching Hospital Sydney. Brooke joined the Primary Care Service full time in 2018 where she enjoys seeing regular patients and teaching undergraduate Veterinary Students undergoing placements at the hospital. Her interests include Small Animal Internal Medicine and Small Animal Cardiology, and Emergency and Critical Care. Brooke is mum to a Green-cheeked Conure named Archibald and a Border Collie called Montgomery. 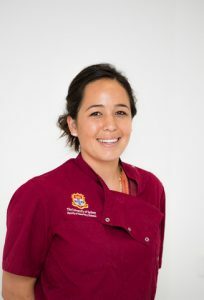 Dr Bianca Corstorphan graduated from the University of Queensland in 2012. After graduation, she worked in several practices both in small and large animals along the east coast of Australia. Bianca joined UVTHS via our internship program to gain extensive knowledge in the field of emergency and critical care and all other specialist departments. Her down-to-earth, fun personality, dedication and passion for patient care impressed our team during her internship program. Now Bianca is a highly qualified veterinarian who is now part of our Primary Care team. Dr Bianca enjoys working alongside the students and has a strong interest in anesthesia and surgery, when she is not consulting she can often be found helping and learning in our anesthesia department. Her best workmate is none other than her beloved Border Collie ‘Cindy’. Cindy is in the hospital everyday with Dr Bianca always lending her a helping hand. You will often see Dr Bianca and Cindy walking together through the hallways.